* MUCH MORE STRONGER STURDY TRICYCLE FRAME DESIGN. 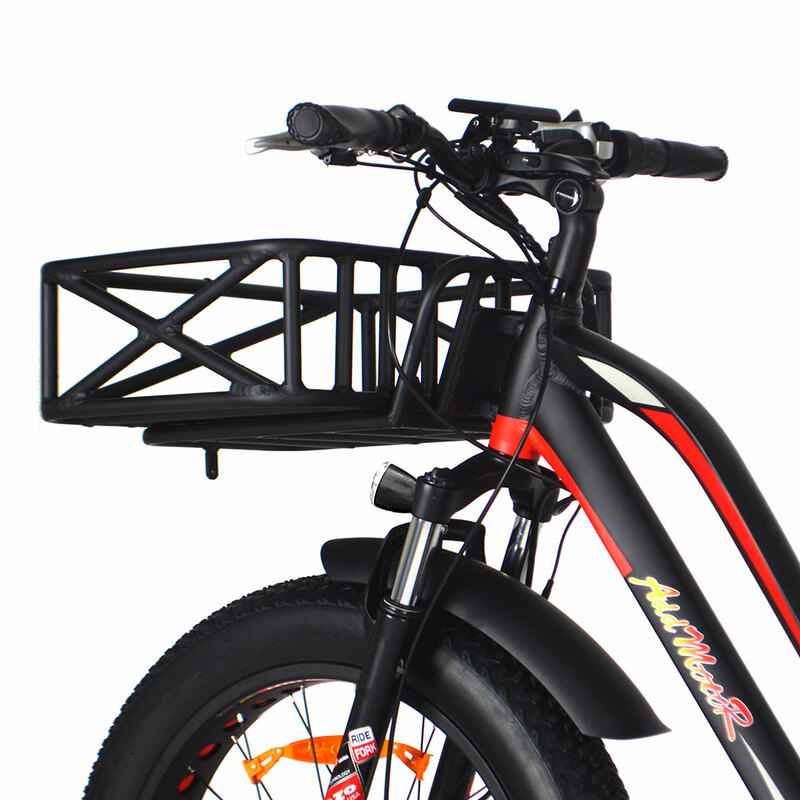 As we all known triangle has strong stability,so Addmotor MOTAN M-350 P7 electric tricycle three wheel frame is wider and stable than a traditional two wheel bicycle,with its the cross braced geometry the M-350 P7 is as agile as two wheeled bicycle. 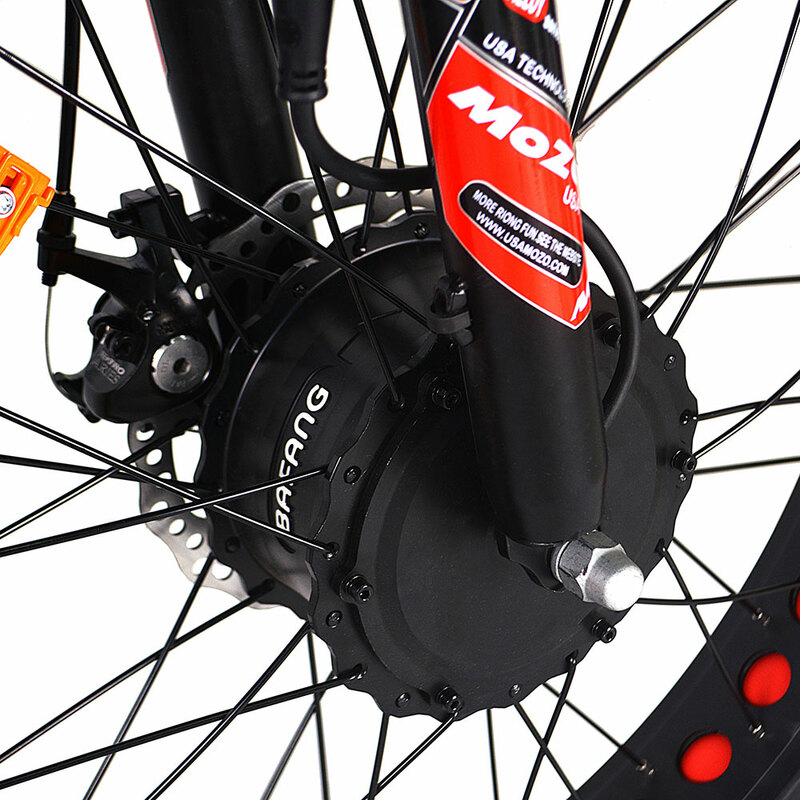 * 750 WATT POWER MOTOR. With its front axle mounted 750 watt brushless motor and 48 volt lithium ion Panasonic battery, even through there is full of cargo that the M-350 P7 also has the power and range to accompany you on adventures of almost any length.The power motor will give you the freedom of a 40-55 miles range using the throttle. 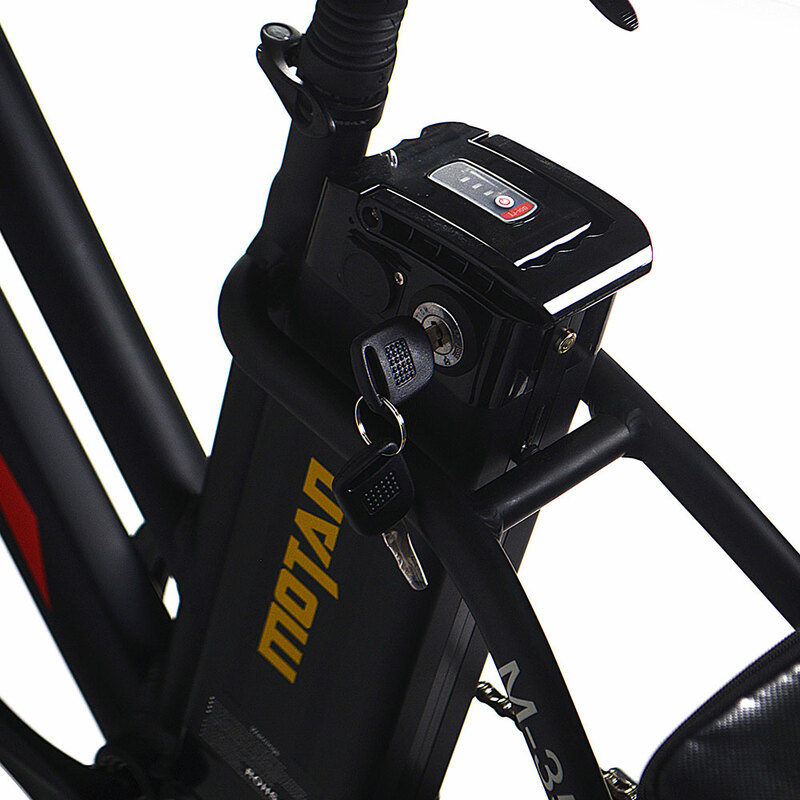 * LONG LASTING BATTERY.The bike comes with a high capacity 14.5AH lithium battery and it's long lasting life will help you a lot as a single charge in a span of 4-6 hours can last for distances up 40-55 miles using the level one pedal assist, charging time depends on the status of the battery.That give much endurance support for long distance bicycling. Powerful and compact battery in a easily accessible location, it locks in place using a key making safe from theft. 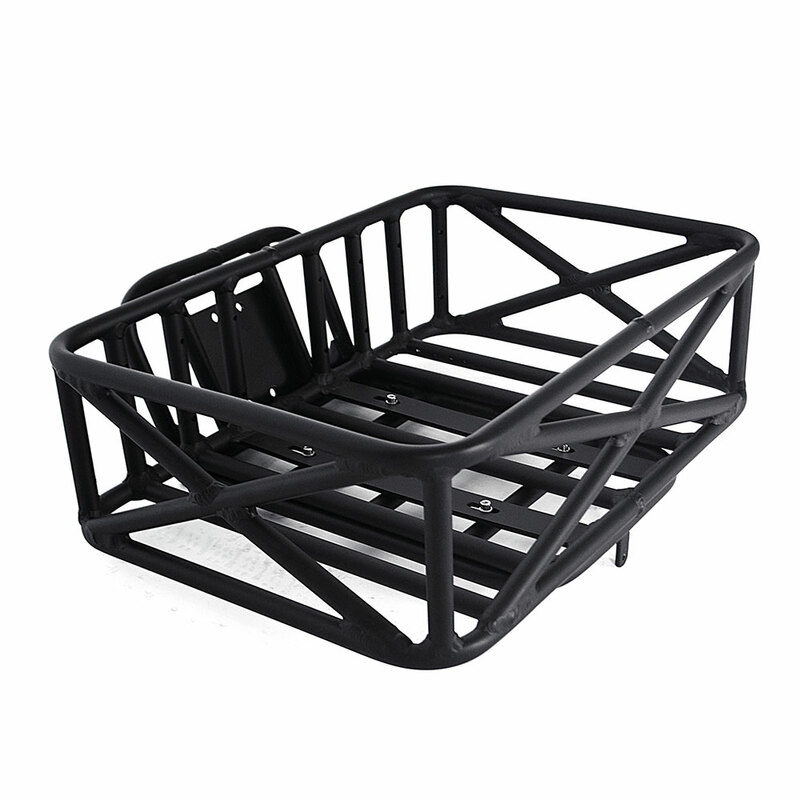 * LARGE CAPACITY FRONT AND REAR RACK . 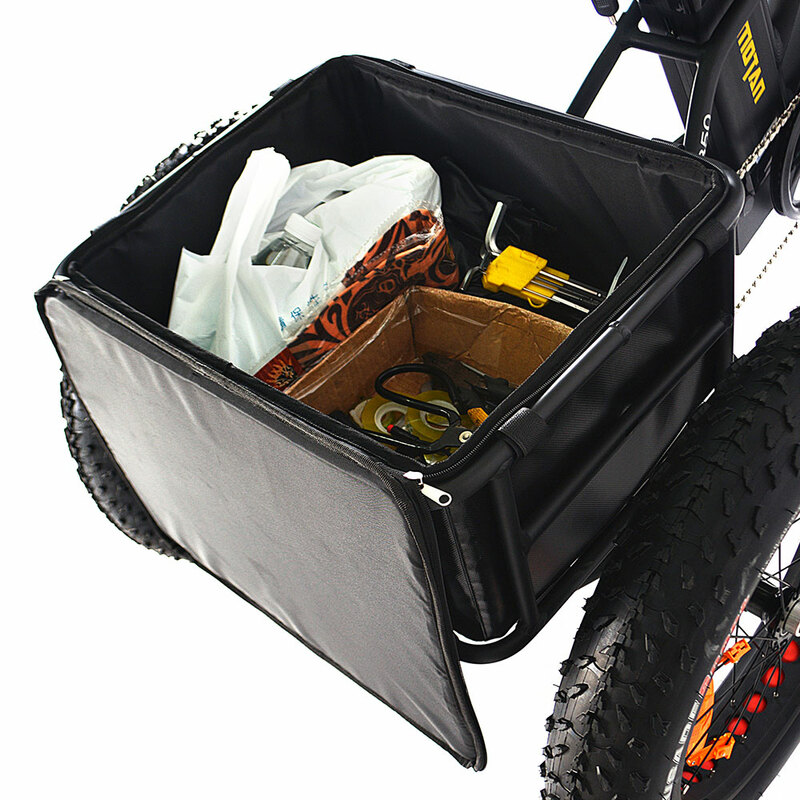 The 3 wheel bike features a sturdy large capacity front basket and a rear cargo trunk with a waterproof bag for outdoor picnic or shopping in grocery.It is a great partner to help you and get your hands free from heavy load. * USE THE THROTTLE OT PEDAL ASSIST TO MOVE ALONG. There are three modes on this trike, "throttle""pedal assist" and "muscle power".With its snappy 1/2 twist throttle and full power drive mode, you can ride the M-350 in full electric mode, or use its pedal mode assist to supplement your own pedal power with a constant electric boost that pulls you over rough terrain, long distances ,up tough hills and steep grades alike. 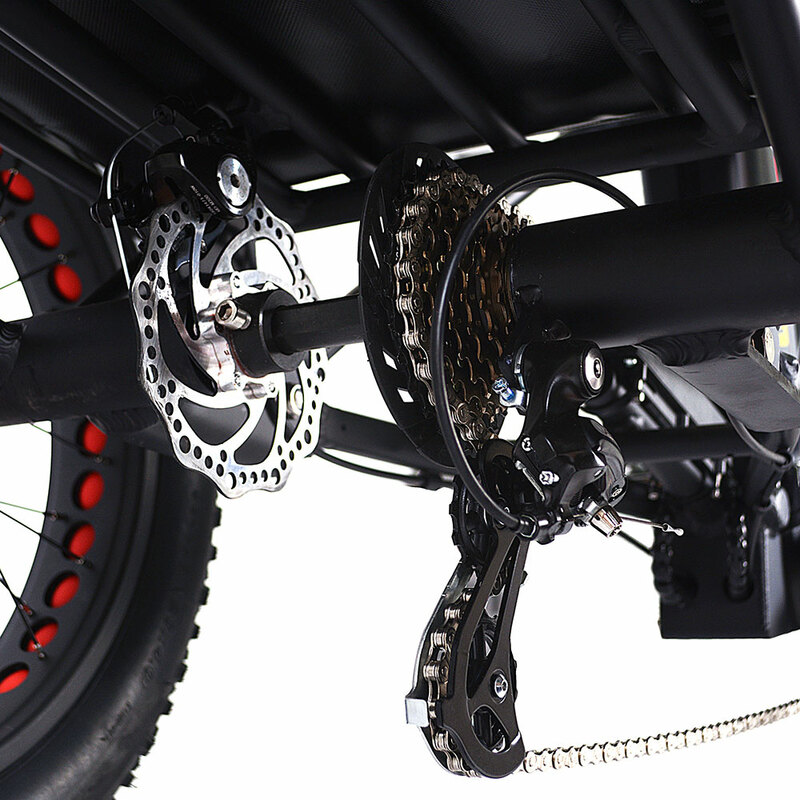 7 speed Shimano drivetrain with mechanical disc brakes offer the speed conversion smoothly. * BRIGHT LIGHTS Battery back light with two lighting modes(Flash and steady). 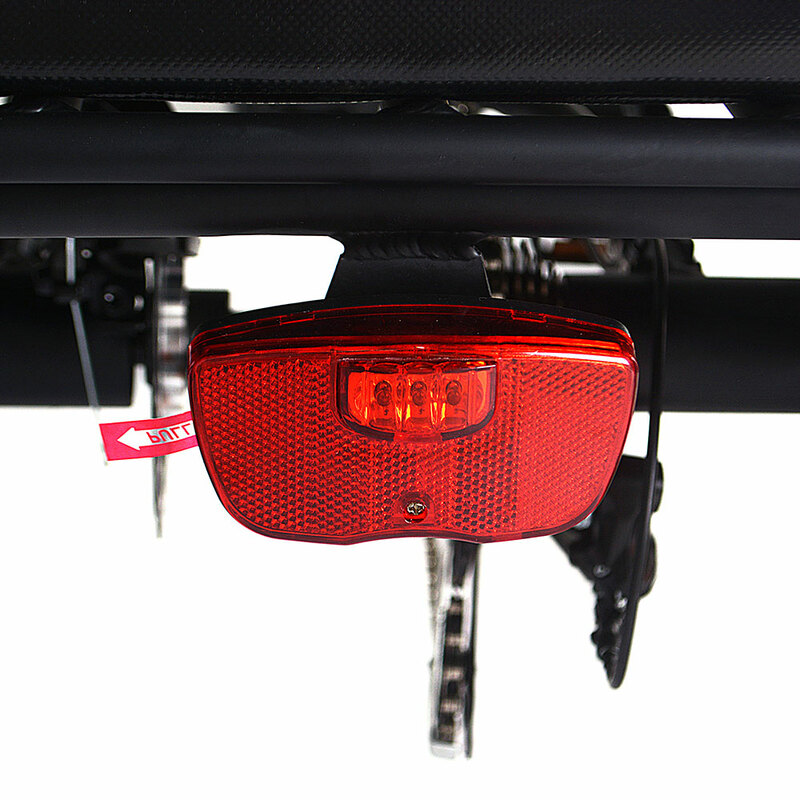 When the tail light is turning on the bikes,it can provide a rider with the security to a greater degree. Perfect for night ride and offer amzing visibility. * DUAL SUSPENSION. Both the front fork suspension and the build-in saddle tube suspension behave excellently absorbing bump and smoothly through the rough terrain,giving you a comfortable riding experience. 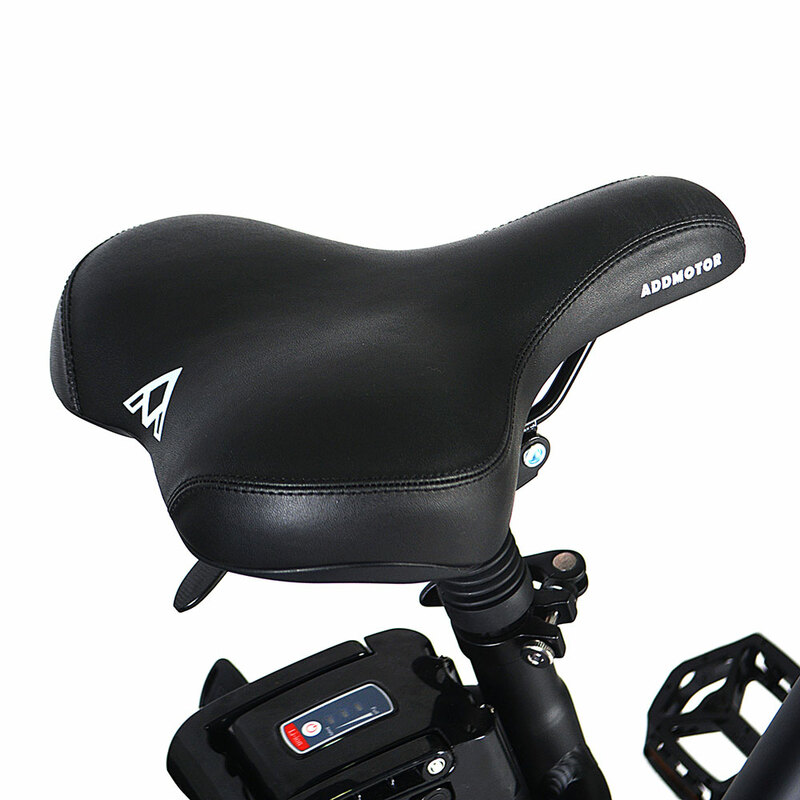 * ADJUSTABLE HANDLEBAR AND SEAT POST ACCORDING TO THE HEIGHT. * BIG HAUL CAN CARRY A LOAD OF 350LB QUITE EASILY. Note: Addmotor New Design M-350 750W Electric Trike is perfect for the rider that need to haul big loads or for extra support when it is difficult to balance. Pedal or Power. You will find cycling has never been this much fun or this convenient. 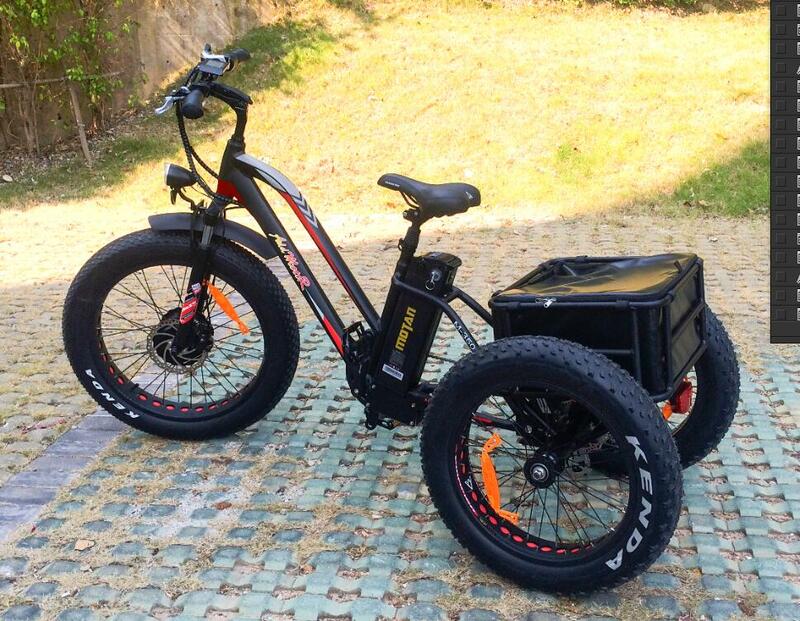 If you are looking for an electric trike, this bike is the one for you. You will have the freedom to travel far further then on a regular trike and still be able to pedal for exercise.If you are adult riders, electric assistance is a feature that you would like to have. This Electric trike will very capably meet your needs.This electric trike bike is absolutely "eye" candy!You can't complete a ride without being stopped by numerous curious people.When you ride it，you can't wipe this grin off your face.